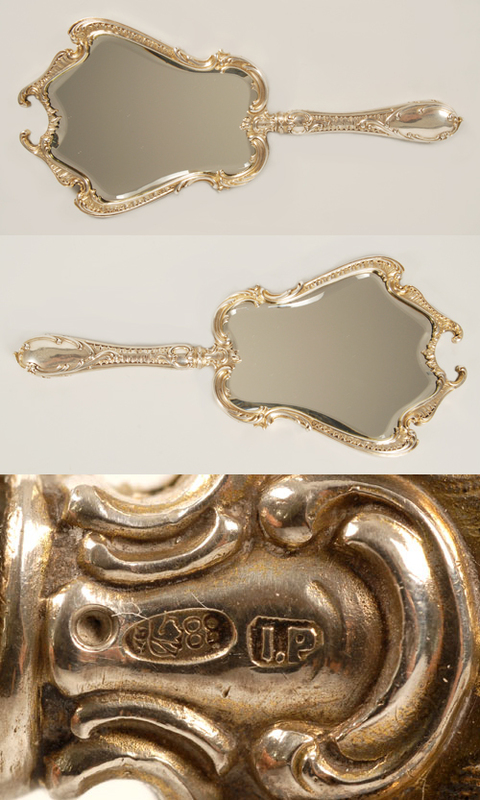 I would really like to have a pretty, antique hand mirror, and if it was made by Fabergé, that would be a big plus! Like this one for example, created by workmaster Julius Rappoport, some time between 1899-1908! The mirror is made of silver, in the Louis XVI style, with it's frame and handle decorated with repousse and chased rococo motifs. The length of it is 10 5/8'' (27 cm), and it's price 5,500 USD. Get it at John Atzbach Antiques! I think these mirrors are great, I love antique hand mirrors in general but this is just perfection!